John Calipari, Motivational Speaker. Kentucky Wildcats Head Coach. Philanthropist. From UMass to Memphis and now Kentucky, Calipari’s career has been successful throughout, but his most recent run in Lexington has been the best stretch of his career. In advancing to the 2015 Final Four, Coach Cal became one of just three coaches all-time to make four Final Fours in a five-year span, joining Mike Krzyzewski and John Wooden as the other coaches to achieve that feat. Twice at UK (in 2012 and in 2015) his teams have won 38 games, tying his 2008 Memphis team for the most wins in college basketball history. As someone who prides himself on helping young men fulfill their dreams, Calipari has helped 42 players earn selection in the NBA Draft during his college coaching career, including 31 over his first eight seasons at Kentucky. The 31 picks over that eight-season span is 14 more than the next closest coach. In 2010, five of his UK players were selected in the first round for the first time in NBA history. He followed that up with four players in the draft in 2011, six players in 2012 — the most in a two-round draft — two in 2013, two in 2014, another six in 2015, three in 2016 and three in 2017. The 2015 haul included four lottery picks, tying the most in NBA history. At the end of the 2014-15 season, Calipari became the 96th coach to join the Naismith Memorial Basketball Hall of Fame, considered to be one of the ultimate achievements in the game. Calipari is also quite the philanthropist. 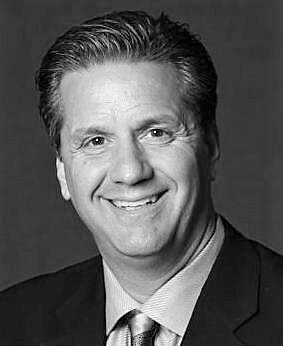 His foundation, The Calipari Foundation, has raised millions of dollars to help the lives of those in need in the Commonwealth and across the country, and in 2010, he used a telethon to raise more than $1 million for victims of the devastating earthquake in Haiti. He followed that up with another telethon in 2012 that raised $1 million for victims of Superstorm Sandy. Calipari’s foundation has also worked with and donated money to Samaritan’s Feet, the West Liberty Recovery Fund, 4 Paws for Ability, the Starkey Hearing Foundation, the Urban League of Lexington and the V Foundation. Calipari has also headed up the EverFi Financial Literacy Program, which teaches students across Kentucky the importance of money management.